$55.00 + $3.30 SignUp Fee ? 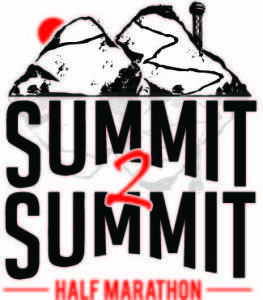 5th Annual Summit 2 Summit Half Marathon! The route includes both mountains, Hot Springs Mountain/North Mountain Summit AND West Mountain/West Mountain Summit! The course USATF Certificate Code is #AR18027WJT. * Participants must maintain at least a 18.00 minute per mile pace to make the course deadline of 11:00 am. If you can't meet this deadline, please select another event. * You must be 13 years old to compete without an accompanying participant adult. * Registrations are non-refundable and cannot be carried forward to the next year; however, you will be able to transfer to another event or to another person. Transfer must be done by November 10th. * All participants receive a finishers medal and 1/4 Training Technical Shirt! This will be the 38th running of the Spa 10K and is a part of the Arkansas Grand Prix Series. This year the Spa 10K is a State Championship Race. The course USATF Certificate Code is #AR13022DLP. * Participants should maintain a 19.21 pace per mile to complete the 10K course in 2 hours. * Registrations are non-refundable and cannot be carried forward to the next year; however, you will be able to transfer to another event and transfer to another person. Transfer must be done by November 10th. The Race starts on Convention Blvd and takes you through beautiful downtown Hot Springs with its majestic bathhouse row complete with the spas and rich history. Next, the route takes you over West Mountain for 2 miles where the winding road meandors through mixed hardwoods. Down the other side, you are met with the electric homes of the Quapaw Historic District and then finish back on Convention Blvd. The 5K is a flat course that is an out and back that takes you through downtown bathhouse row on Central Avenue to the beginning of Whittington Park. * All participants receive long sleeve technical shirt and a finisher's medal when you cross the finishing line. Open to ages 12 - 19. A 5K distance road race to allow junior and senior school students to compete on a state level against other athletes from high schools throughout the state. *Each entry will receive a chip timed race with a short sleeve event shirt and other amenities associated with the Spa Running Festival event. *The school running club that wins the event (scored like cross country, Top 5 with 2 displacers) will receive a trophy and bragging rights to the fastest team “On Pavement”. Students must range from 12-19 years old to be eligible for entry in the event as a member of a school’s running club. Running Club teams may be mixed junior/senior high and Male/Female. *This race will be run simultaneously with the Spa Running Festival 5K open race. All participants will be eligible for overall and age group awards in addition to gaining points for the school’s running club. *Registrations are non-refundable and cannot be carried forward to the next year; however, you will be able to transfer to another event. Transfer must be done by November 10th. Open to ages 2 - 10. 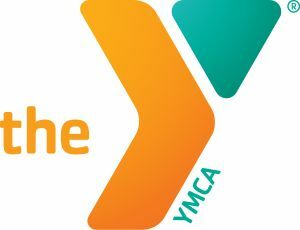 Thank You to the Hot Springs Family YMCA for Sponsoring the Spa Squirt Race! *The Squirt Race is for kids 2-10 years of age with the following age categories: 2-4, 5-6, 7-8 and 9-10. *The race starts at 9:30 am. Each age group will start on Convention Blvd. (across from Embassy Suites in the lane next to the big parking lot) and run towards East Grand. The age groups will run the following distances: 2-4 age group - 2/10 of a mile; 5-6 age group - 3/10 of a mile; 7-8 age group - 4/10 of a mile and 9-10 age group - 6/10 of a mile or 1K. Parents are allowed to run/walk with the younger kids. *All kids will receive a short sleeve t-shirt and finishers medal. *Questions, contact Patty James, Squirt Race Director at 501-282-2133. In consideration of you accepting this entry, I, the participant, intending to be legally bound and hereby waive or release any and all right and claims for damages or injuries that I may have against the Event Director, RunSignup.com, and all of their agents assisting with the event, sponsors and their representatives and employees for any and all injuries to me or my personal property. This release includes all injuries and/or damages suffered by me before, during or after the event. I recognize, intend and understand that this release is binding on my heirs, executors, administrators, or assignees. I also authorize the use of photographs or videos that include my image for promotional, informational, or other reasons deemed to be in the best interest of the event. I certify as a material condition to my being permitted to enter this race that I am physically fit and sufficiently trained for the completion of this event and that my physical condition has been verified by a licensed Medical Doctor. By submitting this entry, I acknowledge (or a parent or adult guardian for all children under 18 years) having read and agreed to the above waiver. You must be 13 years old to compete in the Half Marathon without an accompanying, participating adult. EVENT REGISTRATION IS NON-REFUNDABLE AND CANNOT BE CARRIED FORWARD TO THE NEXT YEAR; HOWEVER, YOU CAN TRANSFER TO ANOTHER EVENT OR INDIVIDUAL.